There are a handful of things we know trigger eczema, and things you can do to make your symptoms better. Let’s start by taking a look at the top seven underlying causes of eczema, so you can help gain better control of your symptoms. #1 Food Allergies or Sensitivities: Underlying food allergies and sensitivities can trigger eczema symptoms. Things like dairy, soy, and wheat can commonly trigger skin issues like eczema. If you have a true food allergy, it is essential to remove that food completely from your diet. If you suffer from a food sensitivity, you can uncover what foods are triggering your symptoms by following an elimination diet, eliminating the suspected trigger foods, and adding them back in one at a time. Watch for eczema flare-ups as you do this to determine if food is causing your symptoms. #2 Environmental Irritants: Environmental irritants like fragrance found in detergent, hand soap, lotion, or other cosmetics can cause eczema symptoms. If you have sensitive skin, it is super important to stick with fragrance-free products, and to choose non-toxic cleaning products that your skin may be exposed to regularly. #3 Stress: Stress can cause a ton of unwanted symptoms, and an eczema flare-up can pop up during periods of stress. #4 Dry Skin: If you suffer from dry skin, it is easier to experience things like rough or dry patches which can then lead to eczema. 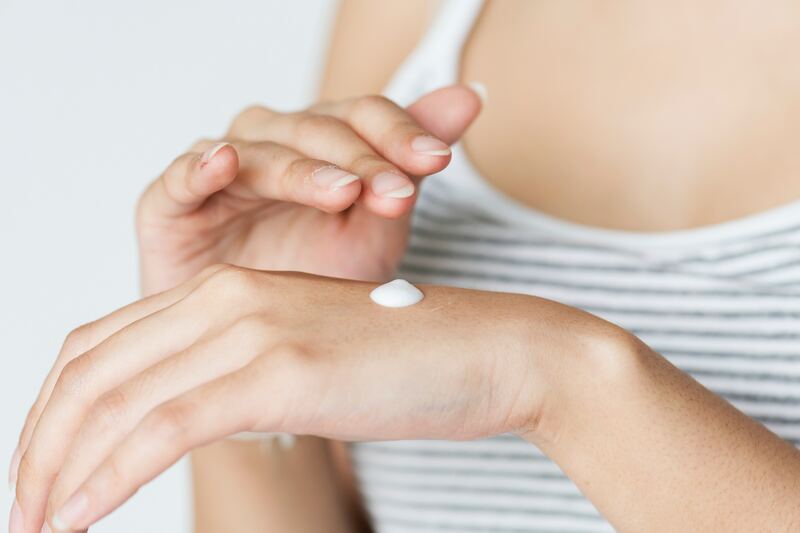 Keeping your skin moisturized can be a big part of preventing eczema flare-ups, especially when you use gentle skincare products that are designed for eczema prone skin. #5 Skin Infections: Infections like staph can lead to eczema. If you suspect your eczema is related to a skin infection, it is important to get it checked out by a healthcare provider. #7 Hormones: Hormonal changes can also lead to eczema flare-ups. If you are prone to eczema, any type of hormonal imbalance may make your symptoms worse. If you suffer from eczema, it can be a very frustrating condition to get under control. However, there are steps you can take to make your symptoms better. Here are some steps you can take to reduce your eczema flare-ups. Try implementing these steps to see how you can better manage your eczema symptoms. As a bonus tip, try including an adaptogenic herb blend like Yinergy or Vigor into your supplement routine to help balance hormones and reduce stress both of which can help reduce eczema symptoms.